It is a new year. Which, of course, means new resolutions are being made by most everybody. Including myself. I won’t share them all with you but, yes, writing more posts in my blog is one of them. I have been wanting to start writing again and I have finally pushed myself. If you aren't familiar with my blog, I love to write about saving money, finding good deals, and ways to make life a little more enjoyable. 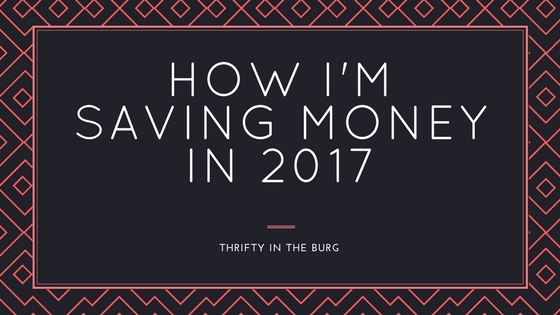 Before I get into my main topic of how I am saving money this year I thought I would share a few updates since its been awhile from my last post. I am now a mom of two! A boy and a girl! I love them so much and must say, my world revolves around them 100%. Most of the minutes in my day are dedicated to making sure they have everything they need. From healthy meals to a clean home. I am your typical stay at home mom and I would not trade it for ANYTHING! I am excited to post more this year about mommy topics. I have learned so much more with the arrival of baby number two and I can’t wait to share my experiences with you all. Now, onto the money saving tips! 2017 has brought to light some new experiences for me. I want to let you all know how I plan on using new resources and some new lessons I've learned from last year to make this year a little more easy. Hopefully I can make shopping, budgeting, and saving some money more easier for you as well. Am I Still Using Coupons? Yes! But…not as much as I used to. Couponing was a wonderful way to save and sometimes make money. But at a price. My time. Every Sunday I planned, and planned, and planned… It literally took hours to make sure my shopping trip was going to go smoothly and correctly. I love saving money but I have come to love time with my family more. With having two kiddos now, I cannot commit my time to couponing like I used to. So, what do I do now? I clip and print a few coupons for the items I need at the store and I’m done. I am using digital coupons more and more these days. No printing and clipping required. I use my rewards program for my local grocery store and that way I can add digital coupons to my account and they get used when I checkout. I also have been using Ibotta more often. Click here if you want to learn more about Ibotta. Something that I started doing at the beginning of this month is Amazon Prime Pantry. I can’t fully sing it’s praises just yet because my first two shipments were very late. But I am still giving it a try because the convenience is what I love about this program. If you have an Amazon Prime account you are eligible to use Prime Pantry. Click here if you want to learn more about Amazon Prime. Prime Pantry let’s you ship pantry items to your home. It does cost $5.99 for shipping but there are often deals that give you free shipping. I love that they have coupons to use toward certain items. I love that I can sit at my desk and do about 60% percent of my shopping at home. I love that I do less compulsive buying when I use Prime Pantry. I also love that it cuts down my time out at the store. I live in a busy college town and going to the store is no picnic. When school starts all havoc is let out and going to the store is a very frustrating experience. At least for me and my family. Well there you have it! Some ways to save some bucks this year! I hope this post finds my readers well and I look forward to hearing some comments from you all. Are there any new ways you’ve found to help save your family money and time? Do you use Prime Pantry? I have made a goal this year to be more proactive in my menu planning and this has saved us tons of money so far and has already saved us from wasting a bunch of food. I used to buy fresh produce with the best intentions but I had no meal plans and so it would sit in the fridge and then spoil. When I meal plan I go off mainly what I have in my inventory already then just buy the few things from the recipes that I don't have. I can do about 3 weeks of meals for about $120 (currently excluding meat because we loaded up our freezer with meat during the summer when it was on good sales) for 3 people. I also love this because the only thing I don't like about cooking is figuring out what to make for dinner. I pick 1 night and plan for the whole 2-3 weeks and write them on my calendar. We shop at Sam's club for a lot of bulk things like frozen veggies, sausage patties, string cheese, yogurt, crackers, granola bars, peanut butter. I price all items I buy there with the local grocery stores sales and those things are usually a better deal at Sam's. Thank you for leaving a comment Tesssa! I totally agree about the menu planning. We were wasting so much fresh produce as well. That is so awesome that you are able to plan that far ahead with your meal plan. I have tried that and it did not work for me! So I just stick to weekly planning.